Who doesn’t crave ice cream from time to time? And why not? It’s sweet, creamy, and so cool on a summer day. You don’t have to ignore those cravings. There are plenty of dairy-free and low-sugar options that you can whip up at home. You’ll be surprised at how tasty it is – and how easy it is to make, too. 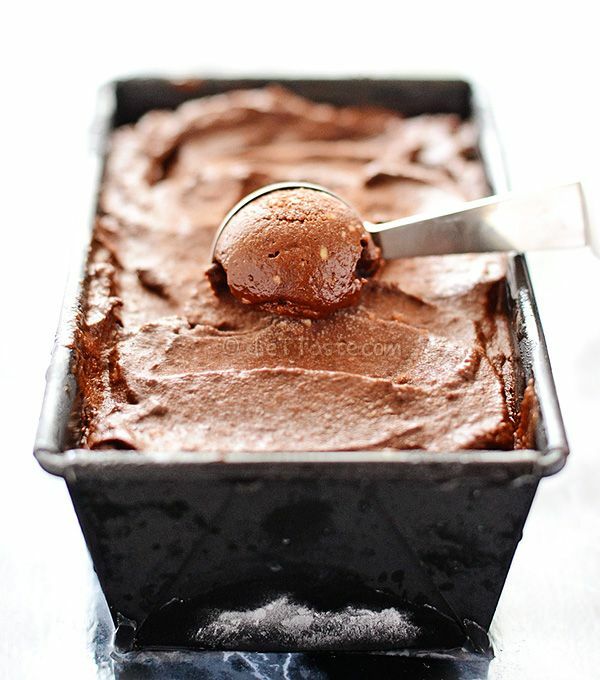 I occasionally make paleo ice cream for my kids as a healthy dessert or weekend snack. Not only do they love it, it’s easy to sneak in antioxidants by tossing in a spoonful of berries or dark chocolate, or extra protein with some chopped nuts or nut butter. Replicating the creamy texture of ice cream without dairy is actually easier than you think: all you need is a powerful blender or food processor. Some of the recipes below call for frozen bananas, and if you’ve never tried one, you’ll be amazed by the texture and sweet taste of a frozen banana that’s been pureed in the blender. 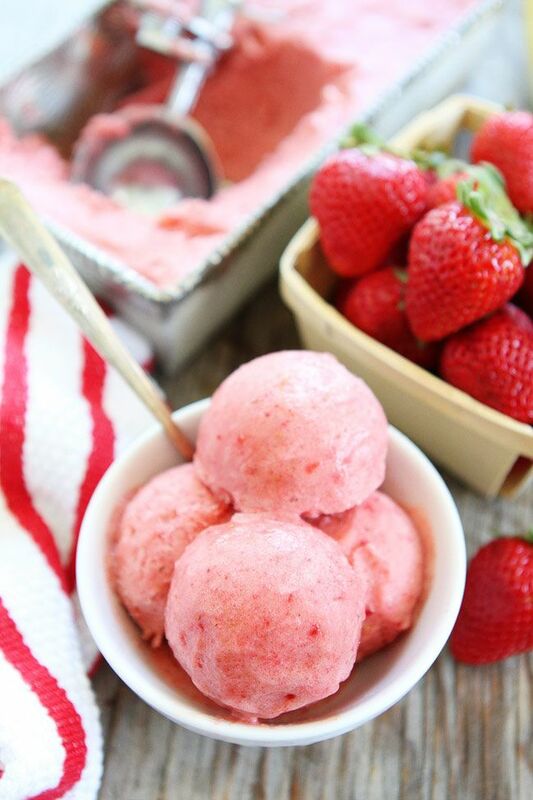 Other recipes call for blended frozen fruits like mangos or strawberries, which give a smooth, sorbet-like texture to the ice cream. Full-fat coconut milk or coconut cream is another way to get an ice cream consistency. To make the most of coconut milk, store a can of it in the fridge until recipe prep time. When you whip it into the recipe, it’ll add a cool and creamy texture. And believe it or not, avocados also make the list of common ingredients in paleo ice cream that lend a creamy texture. Choose unripe avocados and no one will suspect there’s an avocado in their dessert. There’s just one more ingredient that adds smoothness: nut butter or pureed nuts. 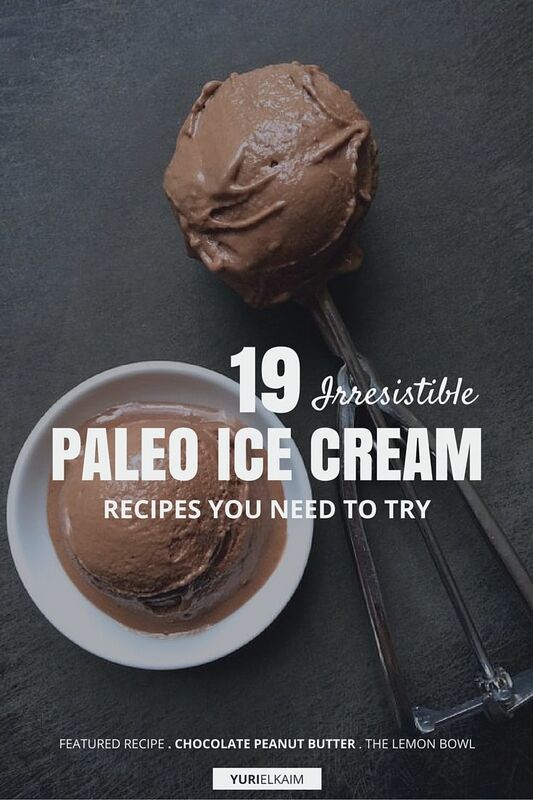 Paleo ice cream also keeps well in an air-tight container in the freezer. Freeze them so you’ll have bananas on-hand the next time an ice cream craving strikes. All you have to do is slice and store ripe and/or bruised bananas in an airtight container or freezer-safe bag until you’re ready to use them in one of these recipes. 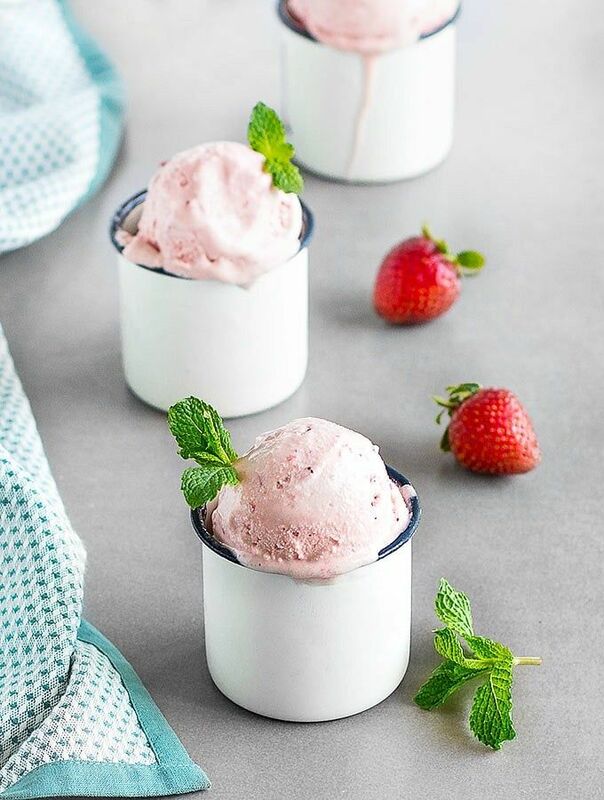 Whether it’s a hot summer day or you just need a sweet treat, you’ll love these paleo ice cream recipes. 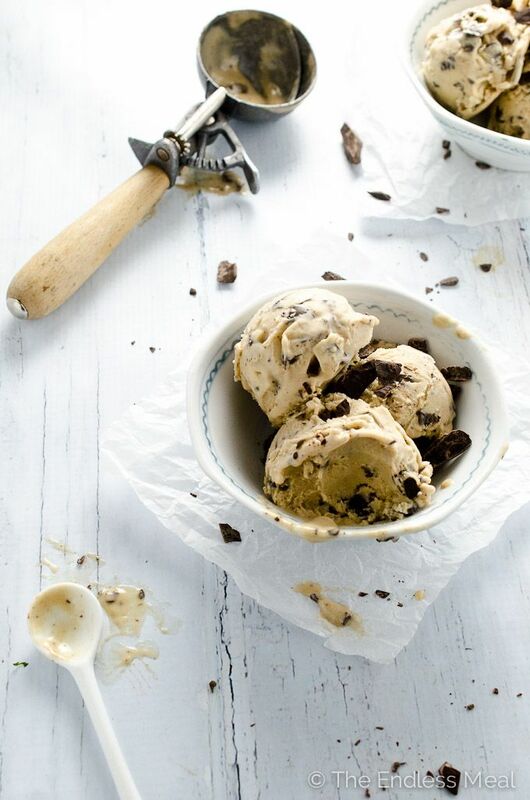 This paleo ice cream recipe will make any day seem special. Natural peanut butter, frozen bananas, and dark chocolate chunks are all you need to satisfy a sweet tooth the healthy way. You’ll forget how healthy this amazing blueberry flavor bomb is once you dig your spoon into a bowl of it. Chock full of bright blueberries and pomegranate juice, it works wonders on your health as you enjoy every delicious bite. Two ingredients and a powerful blender will get you the most delicious “nice cream” you’ve ever tasted. This ice cream is dairy-free and sugar-free, so you can enjoy a sweet, cool treat without the guilt. Finally, we can put soft-serve pistachio paleo ice cream on the menu. People who love the pistachio ice cream tend to be die-hards about it, and if you’re among their ranks you’ll appreciate this delicious dairy-free version. 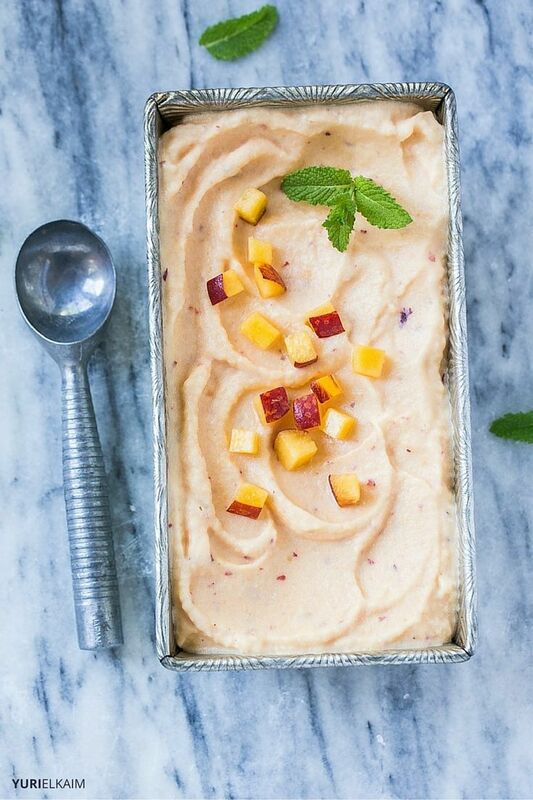 There are only two ingredients in this paleo peach frozen treat, which has a summertime flavor you’re going to love. It’s low in sugar, high in taste and – because it’s dairy-free – it’s also easy on your stomach. Sometimes, the simple things in life really are the best, and this raw vegan pecan paleo ice cream recipe is the perfect example. Made with pecans, dates, maple syrup, and cinnamon, you’re in for a real frosty treat. 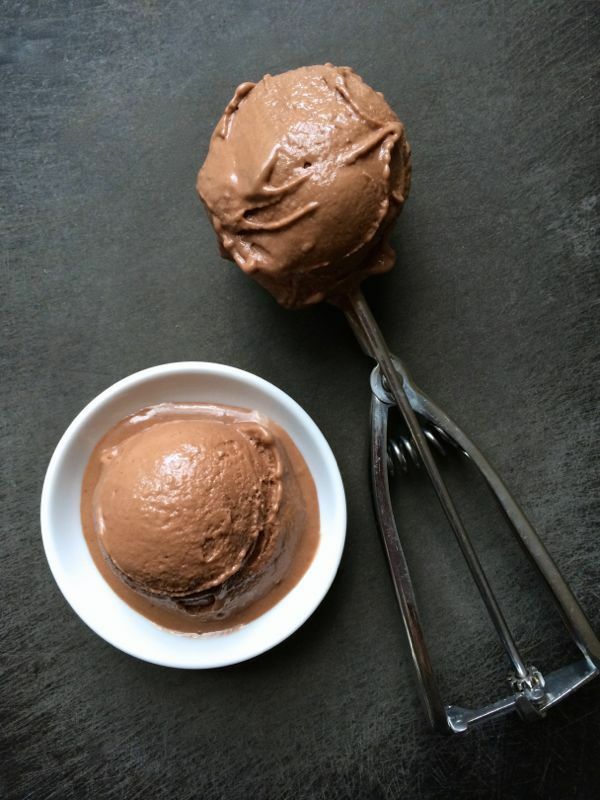 Thick, creamy, salty, and sweet, your entire family will love this guilt-free vegan chocolate peanut butter ice cream. And guess what? You don’t even need a machine to make it. Seriously: this recipe is like a bright bowl of sunshine. Who wouldn’t love this mango blueberry nice cream, which is made with sweet ripe bananas, frozen mango chunks, and tangy blueberries? The secret to this paleo recipe is frozen chunks of banana and mango whipped on the highest blender setting. Rich, creamy, and tropical, it’s a sure summertime hit. Inspired by Ben and Jerry’s ice cream, this dairy-free version of the cult classic will blow you away. It’s a soft-serve ice cream that makes brilliant use of frozen bananas, frozen cherries, coconut milk, and irresistible dark chocolate chunks. Get the fresh taste of summer in a bowl with this yummy frozen treat that’s packed with nutrition. 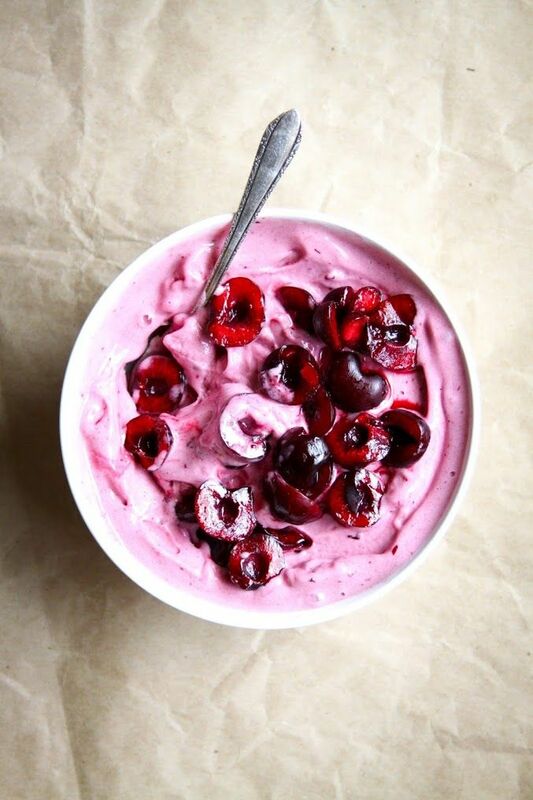 Antioxidant-rich and bursting with cherries, this recipe will deliver healthy nutrients to your body in every delicious bite. 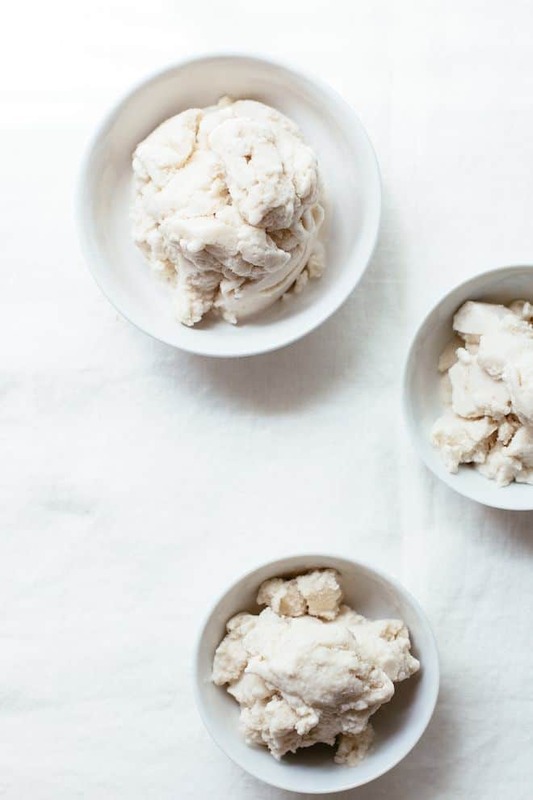 Soaked cashews are a creative way to make your ice cream creamy – definitely worth a try. This “nice cream” uses frozen bananas and soaked cashews to get a creamy consistency, and fresh raspberries are added for a berry burst. Avocado in ice cream? Yes! Seriously: Be brave and give it a try. This paleo ice cream recipe gets it creamy, smooth texture from ripe avocado – but it doesn’t affect the taste at all. Even so, you’ll reap health benefits in every delicious bite. This fall-inspired pumpkin paleo ice cream can be enjoyed any time of year. Coconut milk, pumpkin pie spice, and frozen pumpkin and banana come together in this deliciously addictive dairy-free frozen treat. Can’t get enough of lemons? This lemon curd “nice cream” is a healthy way to savor a bright, citrusy, dairy-free ice cream. 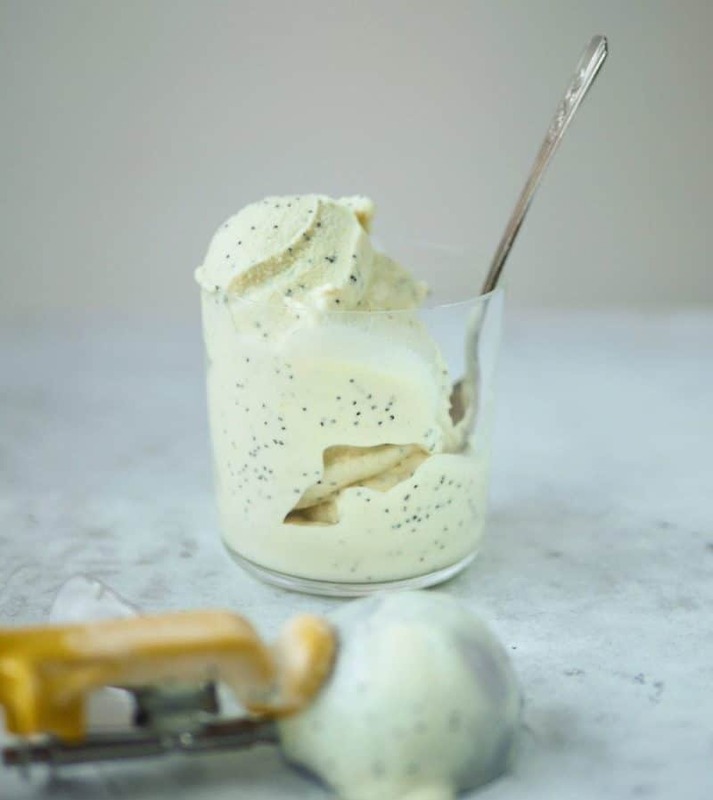 Coconut cream adds creamy smoothness, lemon curd lends heaps of citrus flavor, and poppy seeds give major crunch. 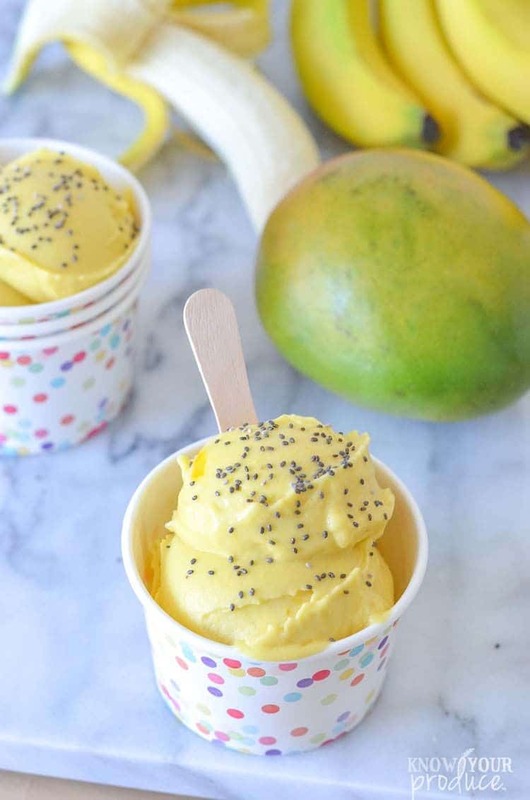 This banana ice cream couldn’t be any simpler – all you need are frozen bananas. But from there, you can top it with chopped dark chocolate or anything else that makes you happy – and you’ve got an easy, healthy dessert in minutes. Two-ingredient ice cream seems impossible, yet this recipe not only pulls it off, it also makes it healthy. You can’t go wrong with the classic flavor combo of strawberry and banana. All you do is whip them together for a frosty, easy treat. The flavor combos in this blender ice cream make it delicious: frozen bananas, a heaping handful of mint, and of course the chocolate chips. Meanwhile, chilled coconut cream adds an amazing fluffy texture you’ll love. Full-fat coconut milk is the perfect replacement for dairy in this incredibly rich coconut ice cream. Serve as-is or top with fresh berries, chopped nuts, or cacao nibs for added health (and taste!) benefits. Scream for (Paleo) Ice Cream! Have I convinced you yet that it’s OK to occasionally indulge in sweet treats? I’m guessing that once you try a few of these recipes, you’ll come up with flavor variations all your own. I’d love to hear about them. Let me know your favorites. On the lookout for more sweet treats? You’ll want to check out my Healthy Desserts eBook, which features 8 energy-boosting desserts that taste so good you’ll think they’re bad for you. Get the eBook now – for FREE! – by clicking the banner below.